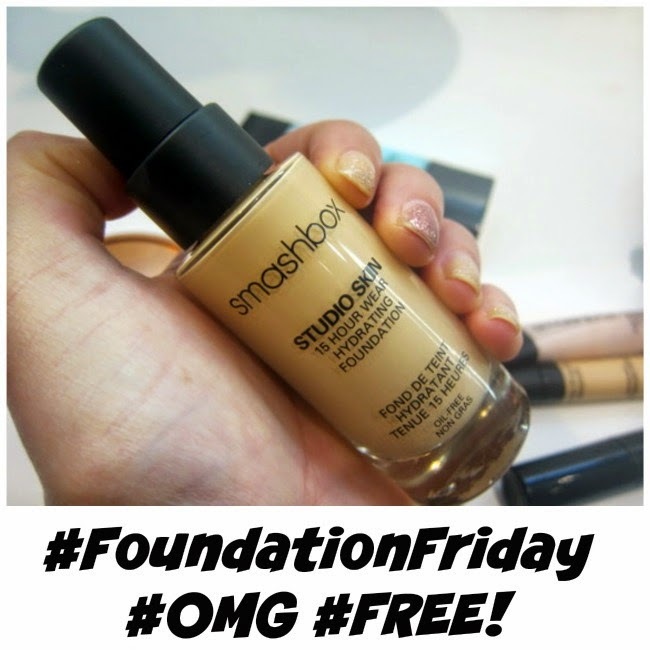 Smashbox Celebrate #FoundationFriday: Elbows At The Ready! I’m really incredibly smitten with Smashbox as a brand. Their heritage – being born out of the Smashbox Studios in LA – is incredibly glamorous and cool, and they just know how to make women look good (don’t believe me? Check out this post!). And they do things like this: give away product, just because. Previously it’s been primers – and Smashbox make some of the best I’ve tried – but tomorrow, they’ve decreed, is #FoundationFriday. To celebrate, the first 20 customers of the day at any Smashbox counter across the UK and Ireland will get their hands on a free, full-sized bottle of their best-selling Studio Skin 15 Hour Wear Hydrating Foundation with SPF 10 - worth €36 a pop. I’ve tried this stuff before and, believe me, it does not budge. It is more than a match for my oily tzone, but it doesn’t feel remotely drying on my dehydrated forehead and cheeks. In short, it is bloody brilliant and this is an amazing offer that doesn’t come along every day. So get yourself a printout of the Smashbox UK Facebook Event page or show it on your smartphone (click through for the link) and hotfoot it to your nearest Smashbox counter; you’ll find a store selector here. Are you ready, now? On your marks, get set…get fabulous!